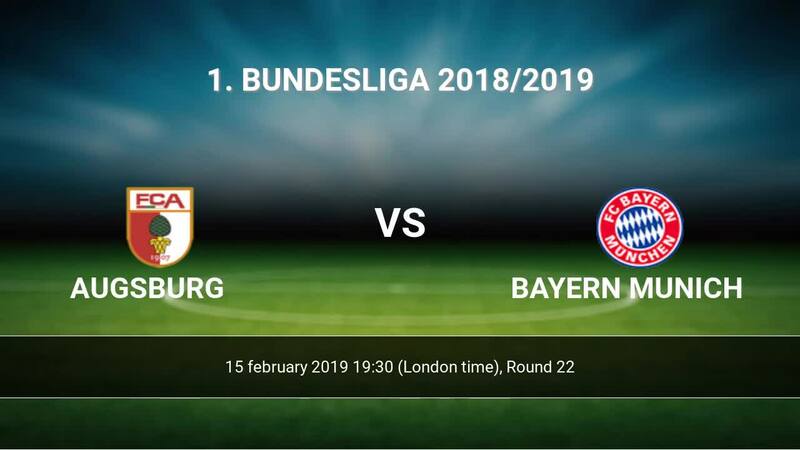 The match Augsburg-Bayern Munich 1. 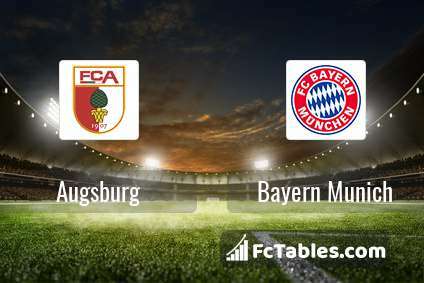 Bundesliga will start today 19:30. Referee in the match will be Bibiana Steinhaus. 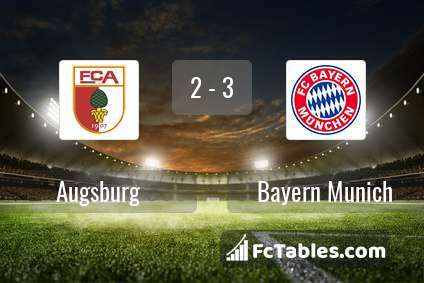 Team Augsburg currently is on lower place in table (15 position). In 5 last matches (league + cup) team gain 3 points. In this season games 1. Bundesliga the most goals scored players: Alfred Finnbogason 10 goals, Michael Gregoritsch 3 goals, Jonathan Schmid 2 goals. They will have to be well guarded by defense Bayern Munich. Most assists in the club have: Alfred Finnbogason 1 assists, Jonathan Schmid 4 assists. Injured players Augsburg: Andreas Luthe, Jeffrey Gouweleeuw, Julian Schieber, Alfred Finnbogason, Raphael Framberger. Team Bayern Munich is at the top place in the table (2 place). In 5 last games (league + cup) Bayern Munich get 12 points. Leading players Bayern Munich in 1. Bundesliga is: Robert Lewandowski 13 goals, Leon Goretzka 6 goals, Serge Gnabry 5 goals. Most assists in the club have: Robert Lewandowski 7 assists, Leon Goretzka 1 assists, Serge Gnabry 2 assists. Direct matches: usually ended with winning of Bayern Munich. 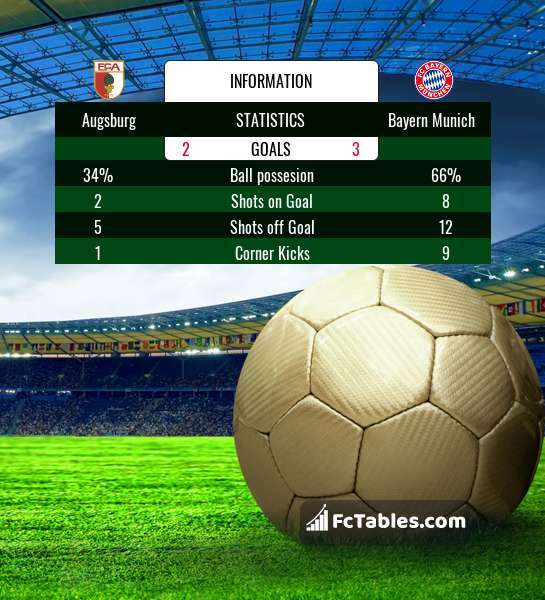 Balace of both teams games are: 3 won Augsburg, 16 wins Bayern Munich, 1 draws. In 14 matches the sum of the goals both teams was greater than 2.5 (Over 2.5). On the other hand, 18 matches teams scored more than 1.5 goals (Over 1.5). In 10 matches the both teams have shot at least one goal.